Investors need to pay attention to the global growth slowdown that is starting to unfold. If one wanted to make a case to sell some stocks and raise cash, a look at the global economy would go a long way in helping. 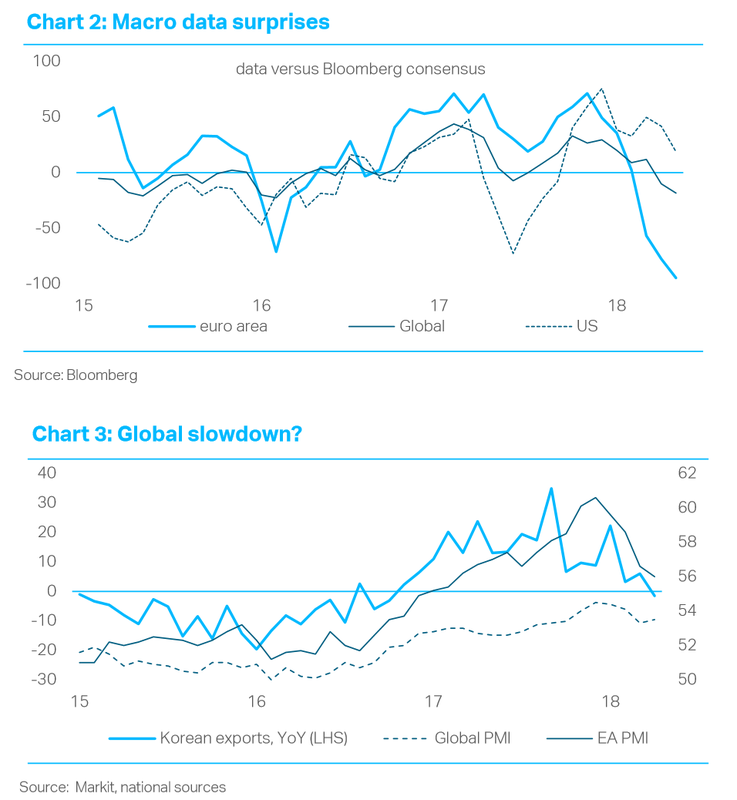 "While we should be careful not to exaggerate the recent deterioration in global economic data - particularly as it follows synchronized, above-trend growth in 2017 - it is clear that there are now scattered signs of weakness," points out TS Lombard strategist Dario Perkins. "While macroeconomic data have proved more resilient at the global level, the outlook has also deteriorated compared to what investors expected at the start of the year." With global growth slowing, investors could still be paying too much to own stocks. The S&P 500's price-to-earnings multiple is 6% above of its long-term average, according to Bank of America Merrill Lynch. "Valuations remain elevated vs. history on most metrics (with the exception of P/E to Growth and Price to Free Cash Flow), but equities continue to look attractive vs. bonds," says BofA strategist Savita Subramanian. The world is slowing down. Source: TS Lombard.